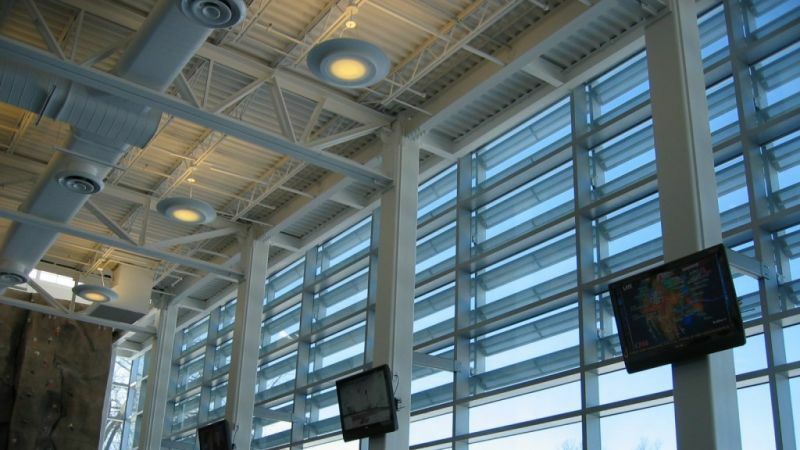 Colt Shadometal is an external fixed or moveable fabricated metal louvre solar shading system, designed to reduce heat gains and glare whilst maximising the use of natural daylight. Shadometal may be installed either vertically or horizontally in front of the façade or on the roof. It can be either fixed or moveable. It is also suitable as a primary or secondary facade element to provide ventilation. 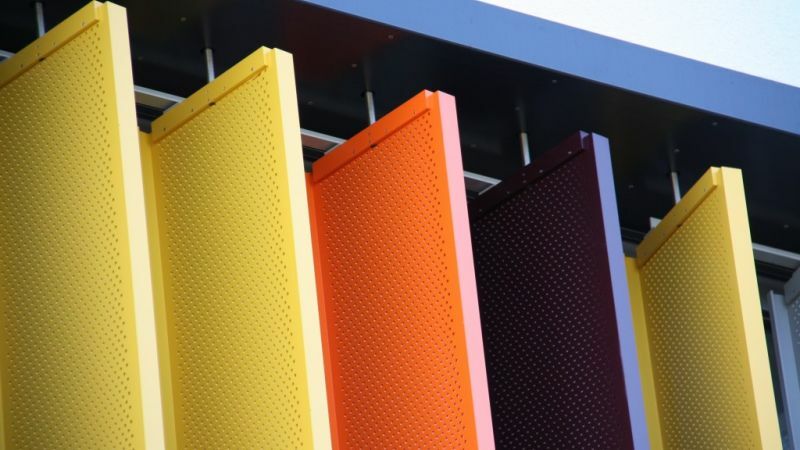 A wide range of louvres – Shadometal louvres are available in various colours, surface finishes and coatings to meet specific design requirements. Depending on the chosen arrangement of perforations to the louvre blade, light and radiation transmission can be accurately achieved for every specific application. The louvre spans depends on structural considerations and the kind of louvre blade selected. Click the options tab above to find out more. Flexible controls - Shadometal shading systems are operated by linear actuators that have the capability to operate complete facades. A series of louvres are attached to a system of levers and push rods which link them to a control system. The louvres may be fixed at any angle and can rotate under motorised control within a range of up to 90⁰. Robust - Shadometal is made from high grade aluminium and stainless steel. The system is designed to compensate for thermal expansion. Potential to reduce installation time – Shadometal can be provided in modular pre-assembled form. Colt ICS 4-Link or Soltronic are the standard controls for Shadometal. These provide accurate control of the louvre blades, continually calculating the position of the sun and together with internal temperature and lighting sensors controlling the position of the louvres. On dull days, light sensors can operate to fully open the louvres to allow the occupants full vision to the outside at all times. Remote operation is also available via an internal modem interface. Please contact us for more information relating to the application, specification, installation or servicing of Shadometal. All spans subject to wind load calculations. Deflection of the louvre is limited to span / 100. Deflection of supporting structure is limited to span / 100.